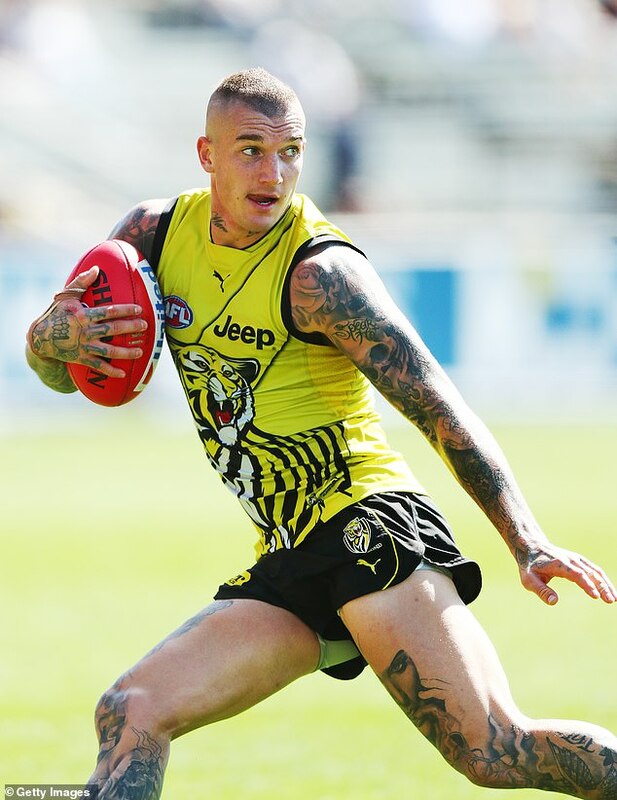 An innocent Instagram photo of AFL star Dustin Martin has sparked a fiery debate about double standards and equality in sport. The photo of Martin, on the field in his Richmond Tigers uniform and posted to his personal account, drew dozens of sexually-charged comments from female fans. ‘Get your lips around those thighs,’ wrote one woman, while another described in great detail her crude sexual fantasy with the tattooed footy bad boy. 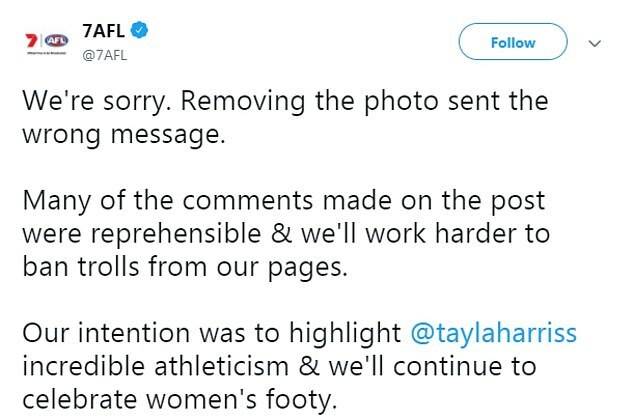 The issue is a hot topic after vile comments underneath a picture posted online of AFL Womens player Tayla Harris caused headlines across the country. Harris described the comments as a ‘repulsive’ form of ‘sexual abuse’ and called on Victoria Police to intervene, while the AFL confirmed their integrity unit would be investigating and handing out lifelong bans to those behind the negative comments. 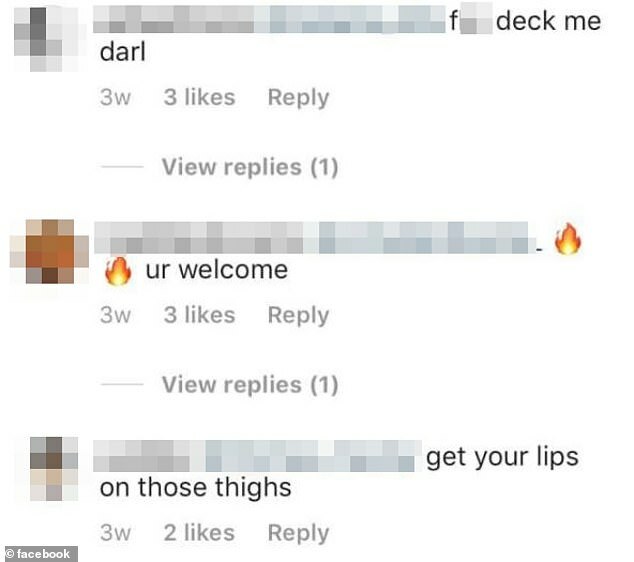 While the decision to prosecute those who left rude comments on Harris’ Instagram was praised, some social media users claimed it was a case of double standards. Melbourne amateur football player Cooper Perrin took to Facebook to call out the AFL for taking issue with the crude comments aimed at Harris – but seemingly ignoring others left on the accounts of male players. ‘Why are these comments acceptable if the ones made about Tayla Harris aren’t?’ he wrote. 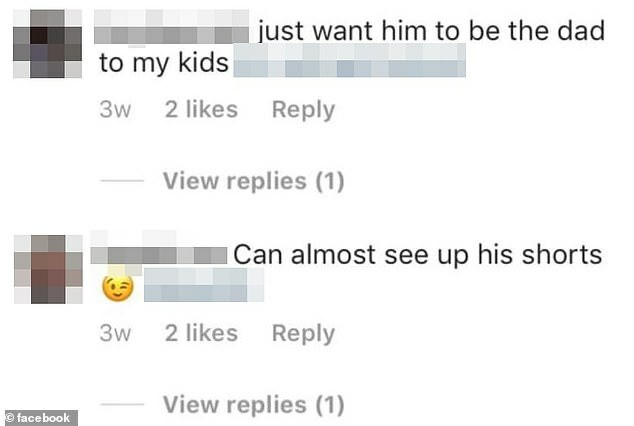 ‘Case of double standards,’ agreed on commenter. ‘Can almost see up his shorts,’ read one of the comments taken from Martin’s Instagram. ‘I taught him this move last night,’ added another. Mr Perrin said he felt compelled to make the Facebook post to empower other men. ‘Most men in football aren’t fussed by what they are messaged and comments made but some will be that are too afraid to speak about because they will be judged,’ he told Daily Mail Australia. Harris appeared on breakfast radio on Wednesday morning and described the comments as ‘sexual abuse’. ‘I’m feeling empowered this morning. I think because of the reaction that’s come, it’s been a bit of a whirlwind,’ Harris told RSN Radio’s Breakfast Club. ‘It is really amazing that the AFL community got around me,’ the star said, while admitting the issue is now about what authorities can do to stop social media trolling ever being accepted. ‘It’s not about me now, it’s about a much bigger picture,’ she said. ‘Some of the comments were sexual abuse, what I would consider sexual abuse on social media. Police responded to the controversy saying that online harassment is taken very seriously. ‘Where instances of online harassment constitute an offence, Victoria Police takes the matter seriously and investigates accordingly,’ a Victoria police spokesperson told Daily Mail Australia. The image was initially posted by 7AFL’s Twitter account, but it was quickly hijacked by trolls – leading them to replace it with a message about the post. ‘The original purpose in publishing the image was to celebrate the power, athleticism and skills on show in Carlton’s thrilling win over the Western Bulldogs,’ the message read. Fans immediately questioned why the image needed to be taken down and eventually 7AFL posted it again. ‘It’s with the misogynistic behaviour by the supporters in the comments. Try blocking these accounts from your social media. Take a stand.’ one user said. AFL stars and athletes criticised 7AFL for making the decision to remove the image. 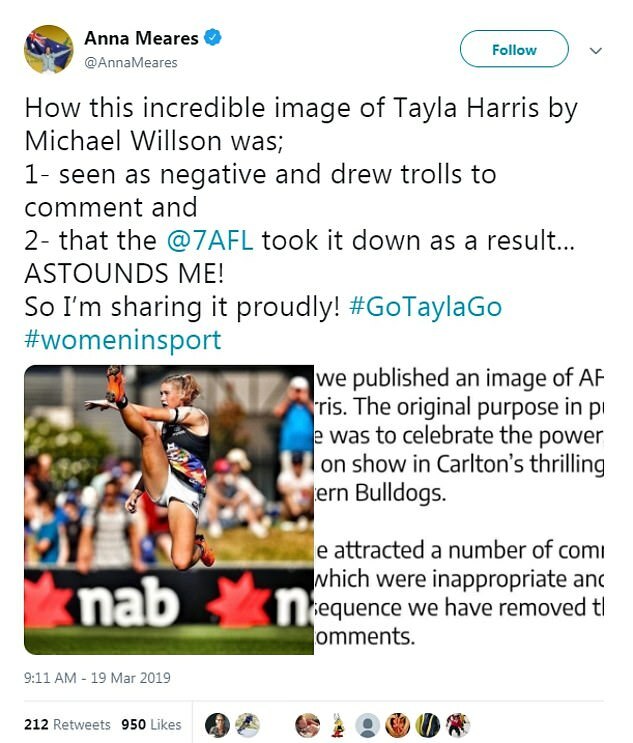 ‘How this incredible image of Tayla Harris by Michael Willson was seen as negative and drew trolls to comment and that 7AFL took it down as a result…ASTOUNDS ME,’ Australian cyclist Anna Meares said. An apology was made by 7AFL who said that ‘removing the photo sent the wrong message’. ‘Many of the comments made on the post were reprehensible & we’ll work harder to ban trolls from our pages. 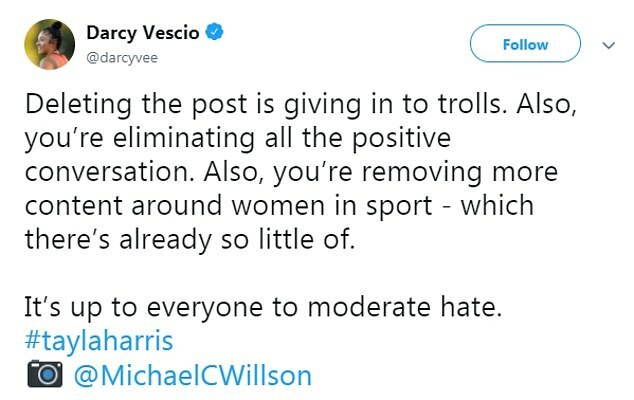 Harris didn’t comment on the removal of the photo, but slammed the Twitter trolls. ‘Here’s a pic of me at work… think about this before your derogatory comments, animals,’ she tweeted.